Every year, the Institut d'astrophysique de Paris takes part in the national event “La Fête de la science” (Science festival). 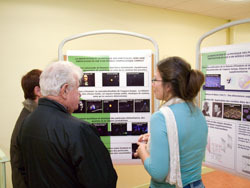 During the week, the researchers and engineers of the IAP present the different subjects of astronomy and astrophysics to primary or high-school school classes that are accompanied to the institute by their teacher (contact: Alain Riazuelo). 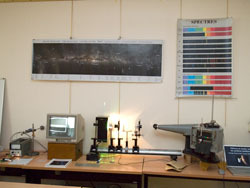 On the weekend, the institute opens its doors and puts together a variety of activities for the public (in French): astronomical experiments, pedagogical workshops, conferences, films and documentaries, presentations of information panels on the institute, its research and history (contact: Jean Mouette). All visits and activities are free of charge.